The record-breaking Nissan GT-R was developed with the support and coordination of Nismo specialists. It was tuned to 1380 HP in order to set the record, and adapted so all the power went to the rear wheels. The GT-R was prepared by GReddy Trust and tested extensively at Japan's Fuji Speedway facility with Kawabata at the wheel. The car was set up for agility while maintaining stability and confidence-inspiring handling characteristics -- essential when performing such challenging feats. 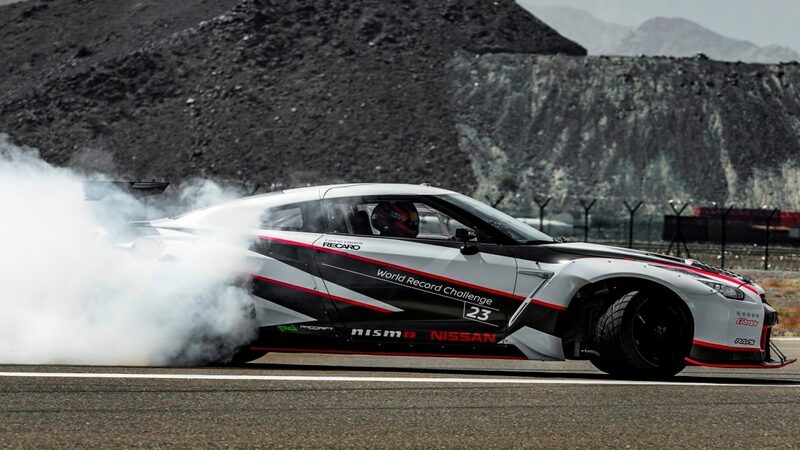 "Once again, Nissan has broken a GUINNESS WORLD RECORDS title and has made international history for the fifth time in the Middle East," said Samir Cherfan, Managing Director of Nissan Middle East. "The Nissan GT-R is one of the world's most iconic supercars, proving time and again the incredible breadth of its capabilities, and has clearly demonstrated its performance leadership by beating the best drift cars out there. The fact that this achievement was set here in the UAE makes it even more special for our region. 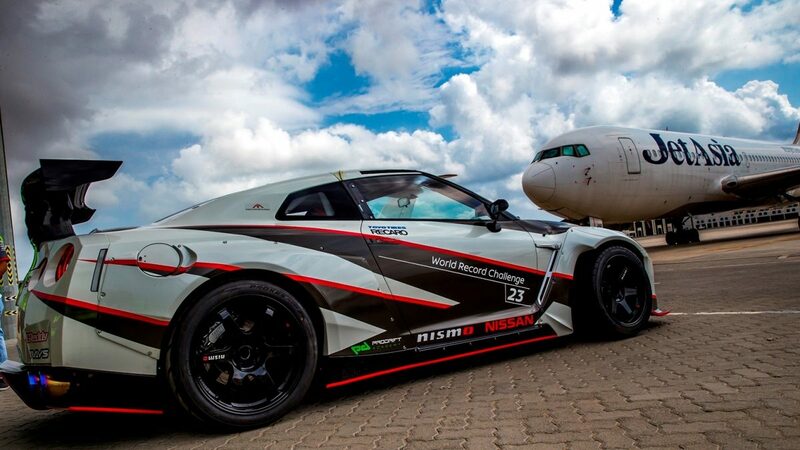 Setting this incredibly difficult world record was a clear demonstration of the excitement we are bringing to the Middle East with the Nismo brand." "We were very happy to be able to host such an exciting event," said His Excellency Mohammed Al Salami, Chairman of Fujairah International Airport, "Once again, the UAE has achieved another GUINNESS WORLD RECORDS title. This great country is always accommodating when it comes to helping individuals and companies make history, and the staff at Fujairah International Airport were able to assist this record attempt while maintaining the airtight security required at facilities such as ours." Cherfan also thanked the airport personnel and its management for their support, saying, "Fujairah International Airport was a perfect fit for this world record attempt and the enormous levels of support we received from every level was invaluable. 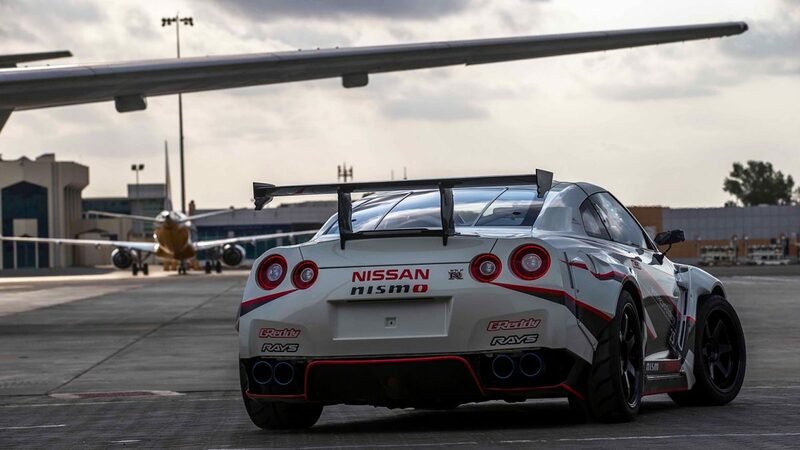 We had to set up a workshop in one of the airport's hangars and had just five days to get everything ready including the specially tuned MY16 Nissan GT-R, spare parts, tyres and all the other equipment which required stringent security checks and processes. Without the dedication and tireless assistance of everyone at Fujairah International Airport we could not have achieved this, and I wish to express my sincere thanks to everyone involved." Mohammed Al Falasai from The Prodrift Academy UAE commented: "The Prodrift Academy UAE, in partnership with Nissan Middle East, is proud to be part of the Guinness World Records for the fastest drift. Hard work and dedication from all parties involved have enabled us to achieve our goal of setting this new record. 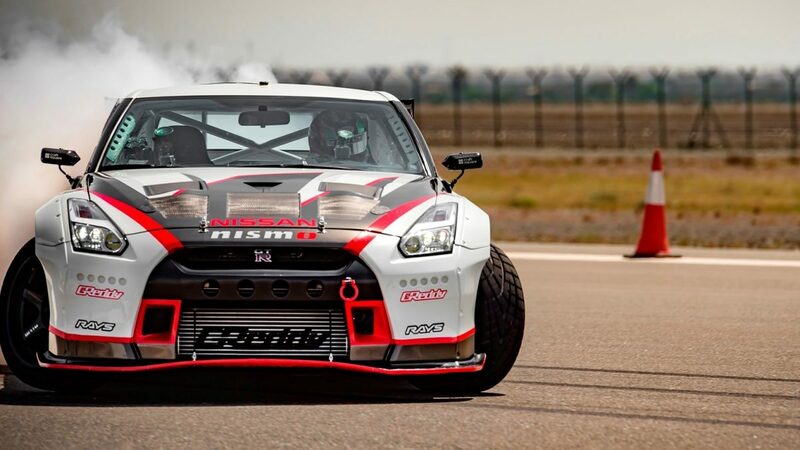 Through our dedicated training programs, the Prodrift Academy and Nissan will continue to be at the forefront of drifting in the Middle East." GReddy Trust's technicians worked on the specially tuned MY16 Nissan GT-R setup on site in the three days leading up to the event and had only three attempts to break the record as per strict guidelines set by Guinness World Records. Support was also provided by technicians and logistics personnel from the Prodrift Academy, Recaro for the driver's seat, RAYS for the supply of special, lightweight alloy wheels and Toyo Tires for the drift tyres that were specially designed for this stunt.